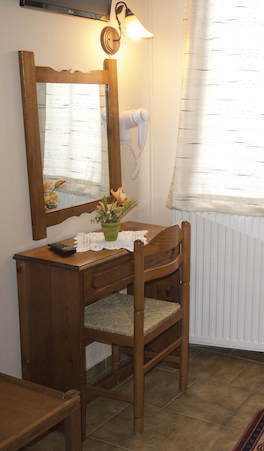 Guests staying in rental accommodation «Ria Rooms» access the shared living room of the complex, where they can relax while reading or enjoying a cup of coffee. All our rooms have their own bathroom, TV, fridge and heating. With stylish decor and a warm atmosphere that will leave you completely satisfied. Do not forget that the traditional tavern is always at your disposal to satisfy even the most demanding gastronomical concerns.